This user profile was automatically created to manage the initiative "Eden Village Camp". 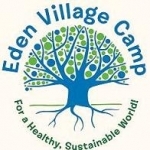 Dear Friends, As Eden Village Camp expands - 231 campers this year as of now, up from 134 in our first summer last year! -- we have renovated new cabins, which of course need inspiring names. The theme is Jewish environmental heroes who memory we want to bless. For example, we have bunks named Heschel, Besht, Noach and Miriam. Your suggestions invited!